I have just begun a semester-long sabbatical (huzzah!) and so I suddenly have a great deal more discretionary time, including, let’s hope, for blogging now and then. As a breather from my hitting the books, I had the very cheerful opportunity for a blustery winter day today, to come in as “guest lecturer” for a day to two homeschooled teenagers of my acquaintance … on any topic of my choosing. How’s that for a fun assignment? I settled on “Intro to Film Studies.” I do a little bit of this with my first-year students each year, a very basic overview of film analysis terms and concepts, some borrowed from Duke’s Writing About Film handout and others from Yale’s excellent (albeit vintage 2002) website on film studies. For today’s discussion, I started with some basic questions: what’s your favorite movie? What makes a “good” movie good? What’s the best “old” movie you’ve seen, one you would call a classic? When do you think film got started? 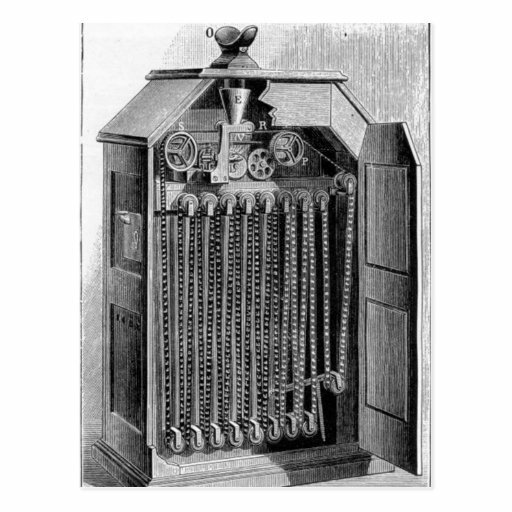 I then showed this short clip which explains the technological transition from camera obscura to magic lantern to zoopraxiscope to kinetoscope and Edison to 35mm film and the Lumiere Bros, which brings it all up to the mid-1890s in about 5 minutes. We then looked at a few of the early Edison experimental films, made by Dickson in the Black Maria, and talked about how at that point in time, just the novelty of a moving image was enough to engage and fascinate people (a sneeze, a kiss, a whirling dance hall dancer, Buffalo Bill Wild West Show performers, Annie Oakley shooting clay pigeons), and that was enough to bring them into kinetoscope parlors or into nickelodeons and how film was used as vaudeville filler. The Library of Congress has a nice American Memory collection on the Edison motion pictures for the watching, and I talked about the Great Train Robbery and the “invention” of motion picture narrative with jump-cutting, editing, and close-ups. Next we talked about the Lumiere films, and how even though they are somewhat banal, like the Edison films, just showing ordinary people leaving a factory, walking up a gangplank, feeding a baby, playing a card game at an outdoor cafe, and awaiting an arriving train, they are important historically for what they tell us about life in the 1890s, and for how they represent a rare capture of a moment in someone’s real time, and for their significance in the development of the industry of film as the earliest (and surviving) examples. I explained that live music was played for the silent films in grand movie houses, and how the first talkies arrived in the late 1920s. We then transitioned into a discussion about how one might look more closely at any film, to explore how it was made, and how it uses the medium of film to tell a story or to convey a mood / message. For simplicity’s sake we broke this into four elements: mise-en-scene + cinematography + editing + sound. As our object of analysis I chose this 3-minute Christmas advert made by British grocery chain Sainsbury’s, which looks back at the 1914 Christmas truce. Just because I like it, and because it conveys a compact story in only about 4 scenes in 3 minutes, so we could watch it several times in a row. We first screened it once without any commentary, then again a couple of times, taking notes on different elements – noting the mise-en-scene, just listening to the sound (sound effects, background score – which if you’ll notice, comes from the True Grit soundtrack), counting the number of shots (in the ballpark of 130 in 3 minutes) and the length of shots (very brief), looking at camera technique (focus, zoom, crane shots, tracking shots, handhelds) and at editing techniques (shot / reverse shot, crosscutting, etc) and postproduction work (probably CGI-generated snow?). I forgot to have them watch it once through without sound, but that’s usually part of the workshop as well. Even a commercial, these days, employs quite sophisticated filmmaking techniques which we tend to take for granted. Slowing down and watching something scene by scene, paying attention to these elements, constitutes a simple exercise in visual literacy and hopefully helps flip the switch of a young person’s awareness about how film sells, instructs, emotes, and influences. Lastly, to bring it all together, we watched the masterful shootout sequence from Sergio Leone’s 1966 The Good, The Bad and The Ugly. It’s perfect for highlighting how all 4 of these filmic dimensions work together in the hands of a skilled auteur to make an incredibly effective scene. This was a really fun exercise for me to share something I know and find fascinating, and to introduce some concepts that I hope they’ll use again, maybe even the next time they go to the movies. And it was enjoyable to take part in a totally different educational setting as a change of pace for everyone. Now. If you got invited to teach one thing, purely for the joy of teaching and learning something new, what would it be?